The Texas Spirit Soccer Club is one of North Texas' oldest and most successful all-female soccer clubs. Spirit started in 1979 and has grown and flourished for over 30 years. Texas Spirit has a reputable history having won every major tournament across the country. 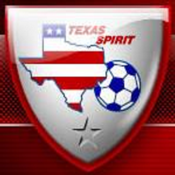 Currently Texas Spirit has 12 Girls teams and have 3 divisions of our club geographically positioned to provide a quality soccer experience within a respectable driving distance for thousands of players.